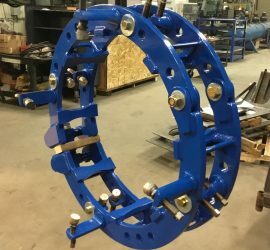 WorldWide Machining & Welding, Inc., is now manufacturing Hydraulic Chain Clamps that utilize grade 80 double-roller nickel plated chain to apply equal clamping pressure around the entire circumference of the pipe, sleeve and/or stopple tee, improving alignment and overall fit-up. 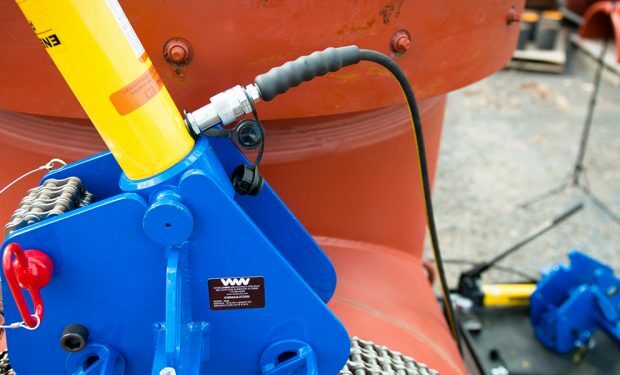 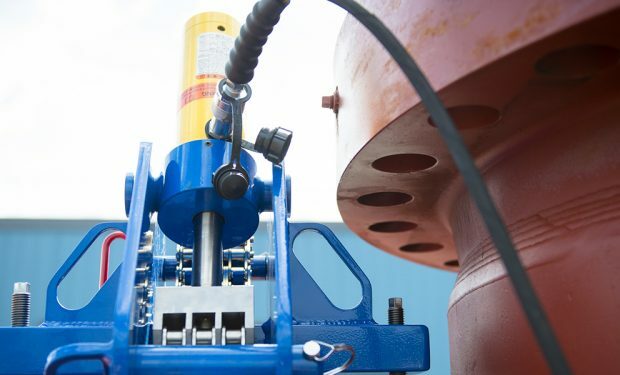 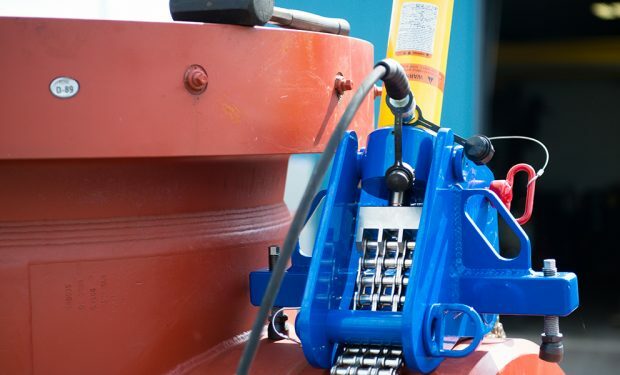 The Hydraulic Python Chain Clamp is ideally used during the sleeving process to clamp a sleeve or stopple tee fitting in place, achieving proper alignment and a tight overall fit-up, allowing for better weld application. 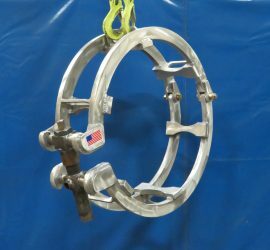 Powder-coated aluminum main clamp body. 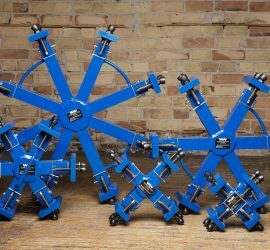  Multiple pins for easy assembly. 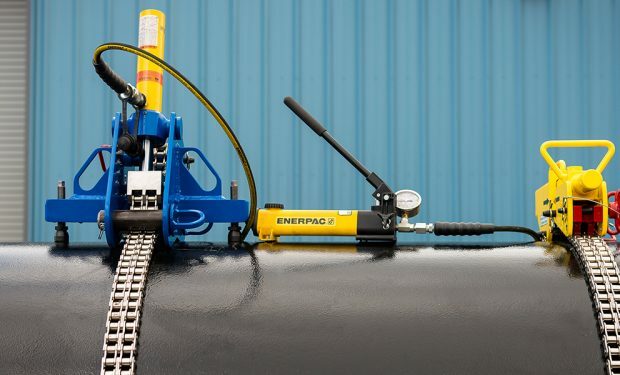 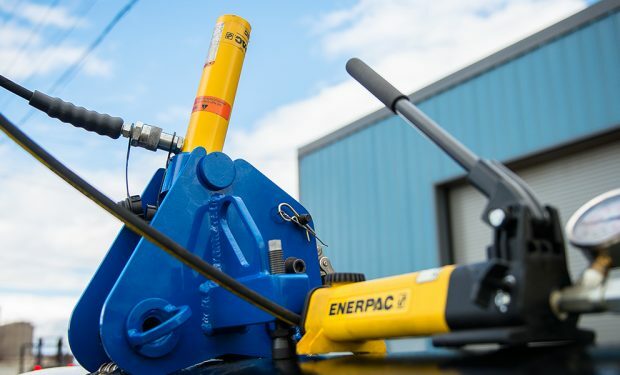 High-quality 5 ton Enerpac hydraulic cylinder with locking needle valve. 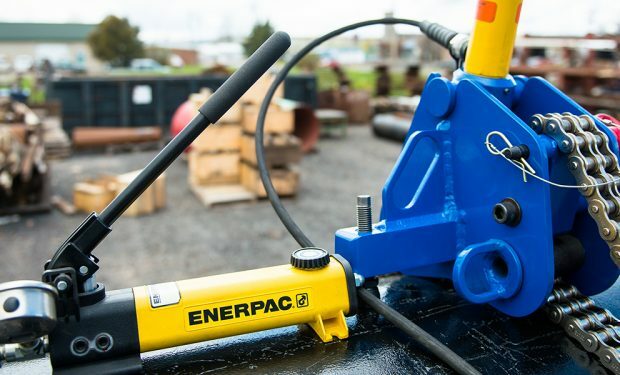 High-quality Enerpac pump, hose and fittings. 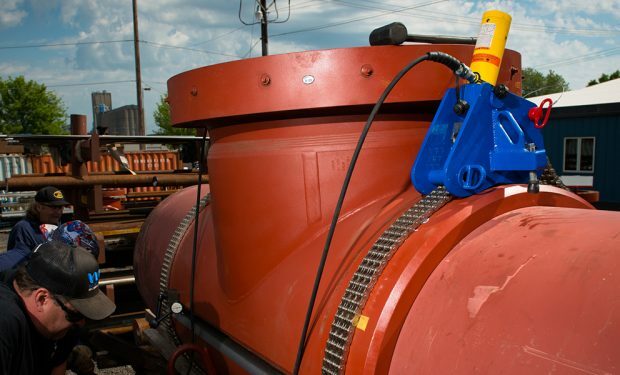 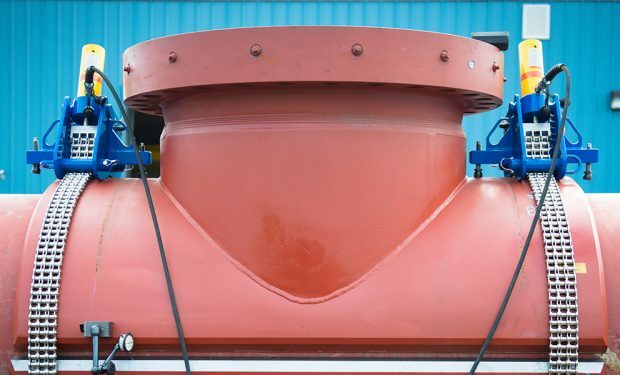 Engineered and FEA-certified to apply 10,000 pounds of nearly 360 degrees of equal clamping pressure to the chain. 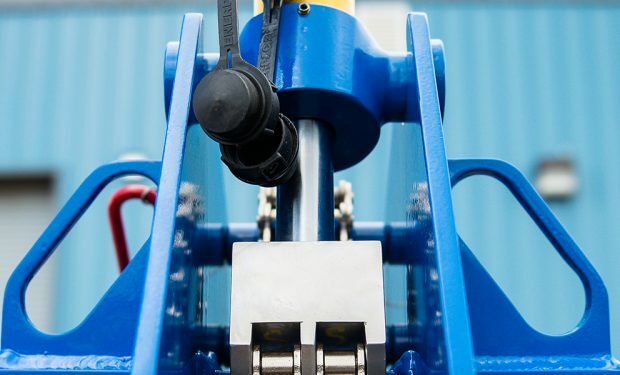 Use of the Hydraulic Python Chain Clamp during split tee and sleeving operations is significantly safer and more effective than the old-school jack and chain method commonly used. 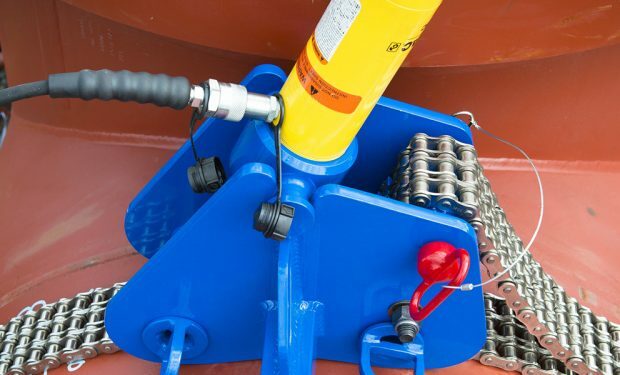 Use of the Python Chain Clamp eliminates the use of underrated chain and bottle jacks and, in relation, the safety hazard of a snapped chain and injury from jack failure.